One of the perks of having an energetic, inquisitive toddler is that it makes you get out more — not to mention head to venues you might not otherwise have given the time of day. 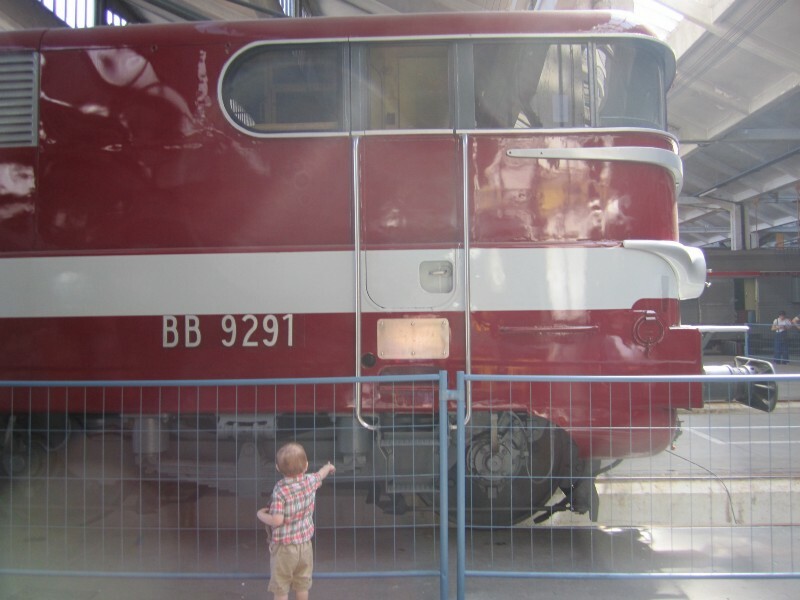 When I saw posters in the Metro advertising old trains on display, I knew that would be one of our weekend destinations; I’ve never seen a kid so mesmerized and delighted by trains as Julien is (although conversations with other parents make me at least a little suspicious he’s not the only one). So on a recent Saturday, we headed to see Grand Train. 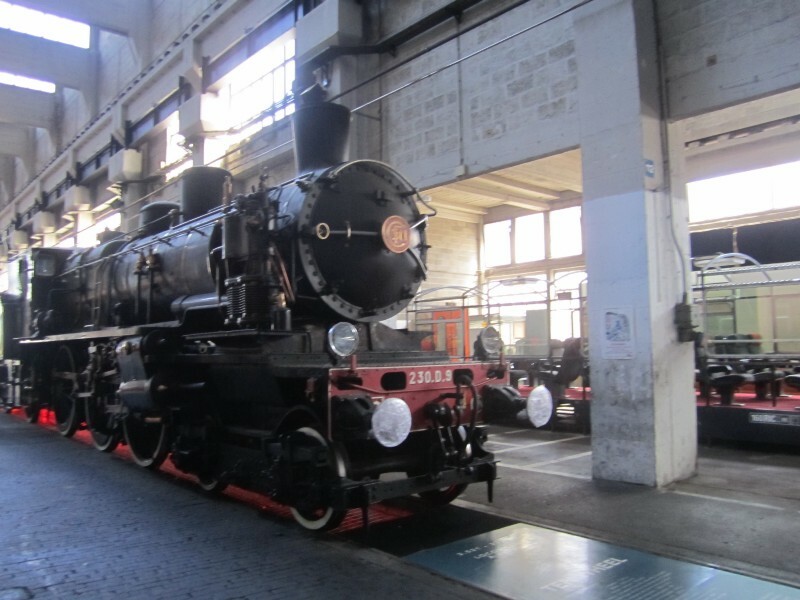 The exhibition’s name means “Big Train”, but the site ended up being about so much more than that. 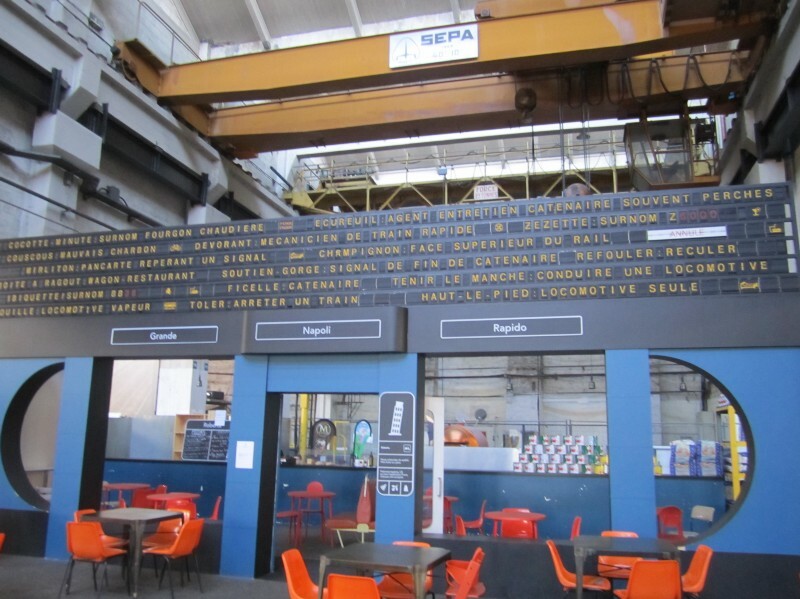 A disused train depot in the north of the city (located at 26 ter, rue Ordener, just beside one of the exits of the Marcadet-Poissonniers Metro station) has been transformed into a site full of charming and sometimes inexplicable attractions, events, bars, and eateries that reflect new French trends very much inspired by American hipster culture. You won’t find baguettes and coq au vin here; instead, tuck into culinary options like Korean barbecue, gluten-free baked goods, or veggie burgers. 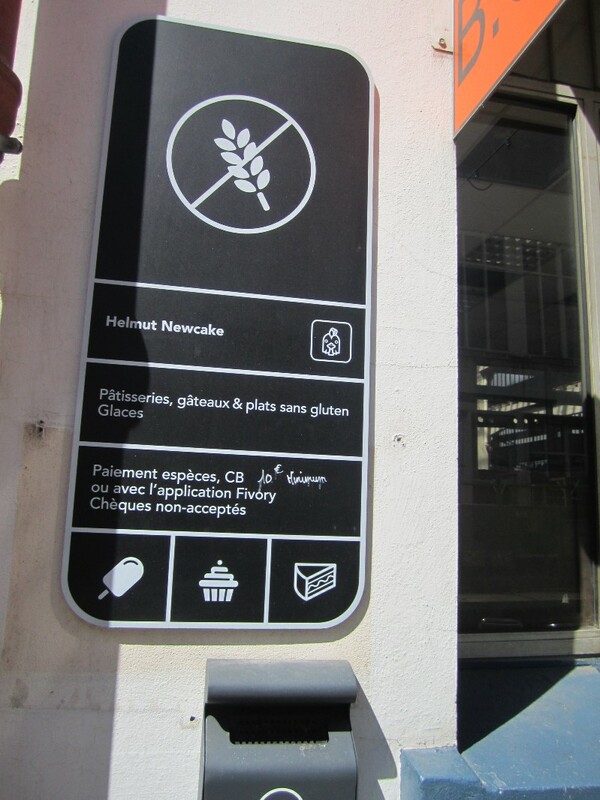 The sign outside gluten-free bakery Helmut Newcake. 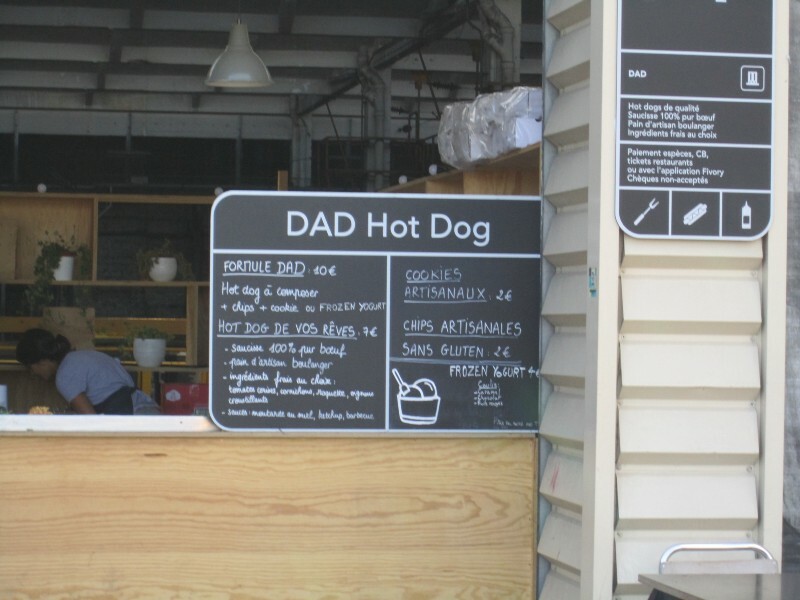 If you’re looking for something simpler, you could always sidle up to DAD Hot Dog, a restaurant that promises “The hotdog of your dreams”. Several bars also share the space, not to mention a tattoo parlor, gift shop, organic vegetable stand, scheduled events like yoga sessions, an antiques shop, a garden whose flower and veggie beds are set among old train tracks, and a lounge area beside it. And oh — there’s also a small, random chicken coop featuring diverse breeds. Of course, Grand Train didn’t forget its namesakes: About a dozen or so engines and wagons representing various origins and eras of railroad history are indeed gloriously on display. Including this beauty that Julien could have marveled at forever. an elaborate set of electric ones, and a train-themed kids’ activity area. Behind an arrivals/departures sign that had been transformed into a list of railroad jargon and its definitions, was a pizzeria. 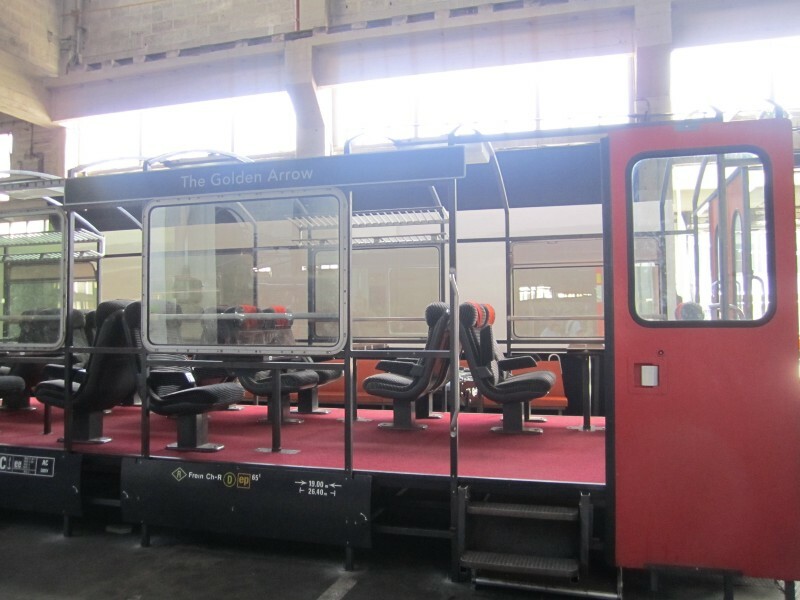 One of the site’s bars offers seating in a wall-less TGV car. Still, for all that they were integrated into the experience, the trains seemed like a world apart from what else was going on. Walking through the spacious depot, it was hard not feel a little displaced — even a bit laughably so. It often felt like we were at The Williamsburg Festival; you could find so many hipster cliches that I wanted to create bingo cards. And yet, it was all done with sincerity. Because here’s something many Americans don’t realize: While France — and Paris — will always have its own special vibe and definition of “cool”, its love-hate obsession with America has reached a really interesting moment. For the trendy-minded, US hipster culture is very à la mode. And it’s happened pretty fast. Just a few years ago, for example, you’d never imagine a country known for its strong and proud tradition of bread and pastries would have any gluten-free offerings. And in a culture that used to look down on take-out food as a lesser cuisine, popular only with the uncouth masses, finding a food truck in a cosmopolitan area was all but unthinkable. 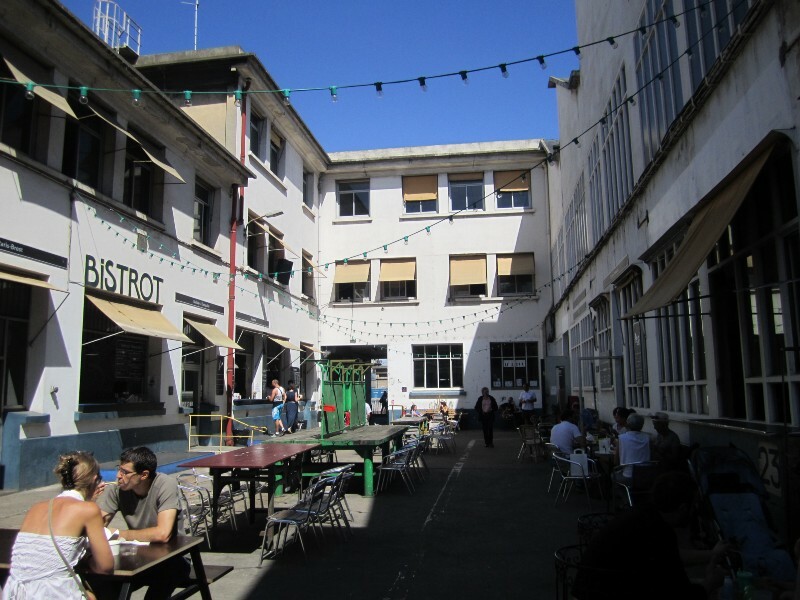 Nowadays, you can find both throughout the city, especially in its hippest areas. Of course, if you’re going to idolize and emulate a culture, hipster culture isn’t the worst. 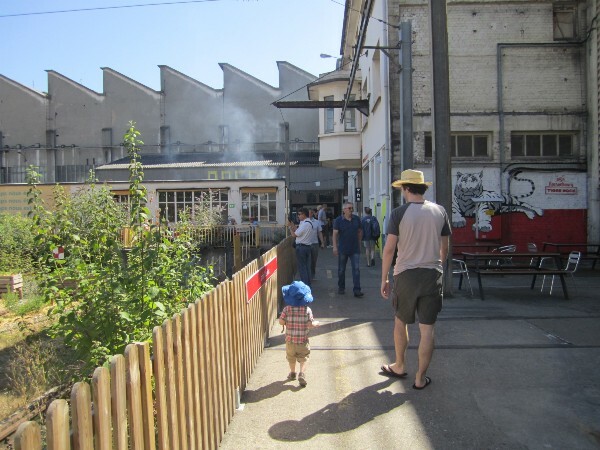 We visited Grand Train early in the day, due to impending heat and naptime issues, and the ambiance was that laid-back, safe space, family-friendly-but-anything-goes feel that you get from the best hipster spaces, virtual and real. 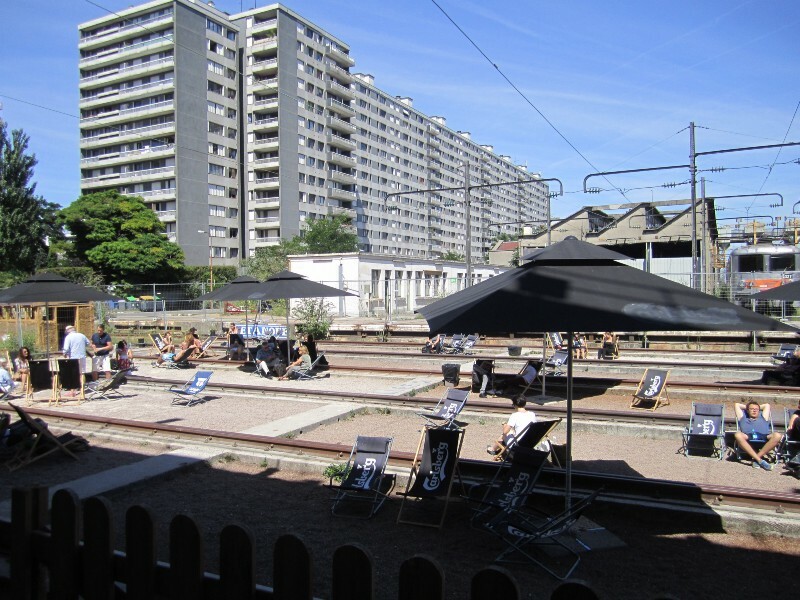 Although the nighttime attractions seemed more adult-oriented (the bars and tattoo parlor weren’t open when we were there), in the daytime hours, we exchanged smiles, laughs, and curiosity with everyone from French hipsters, to fellow train-infatuated kids. We even had a long discussion with a train-infatuated old man wearing an engineer’s cap. We didn’t get to take a summer vacation this year, but for those couple of hours, I felt like I could step outside the train depot and head somewhere to check out the Manhattan skyline. 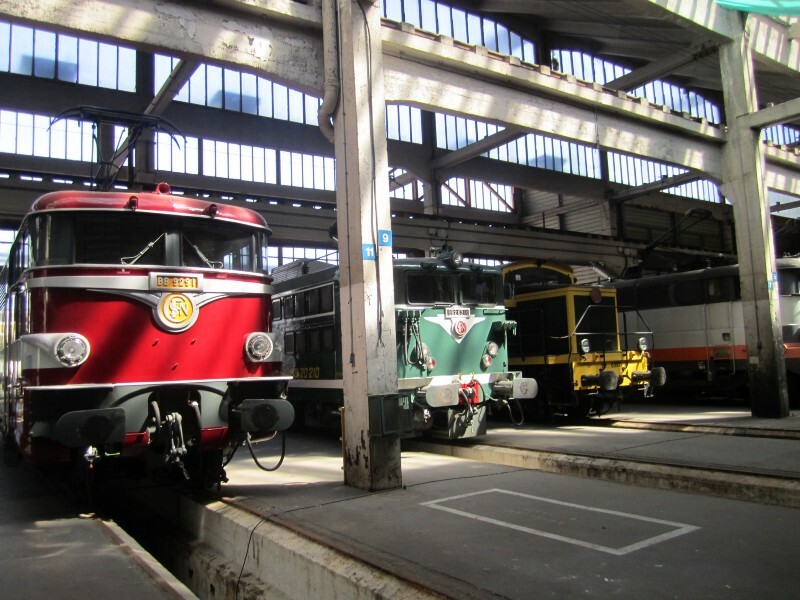 Grand Train will be open until October 16. Luckily, it seems like it’s could become an annual event. 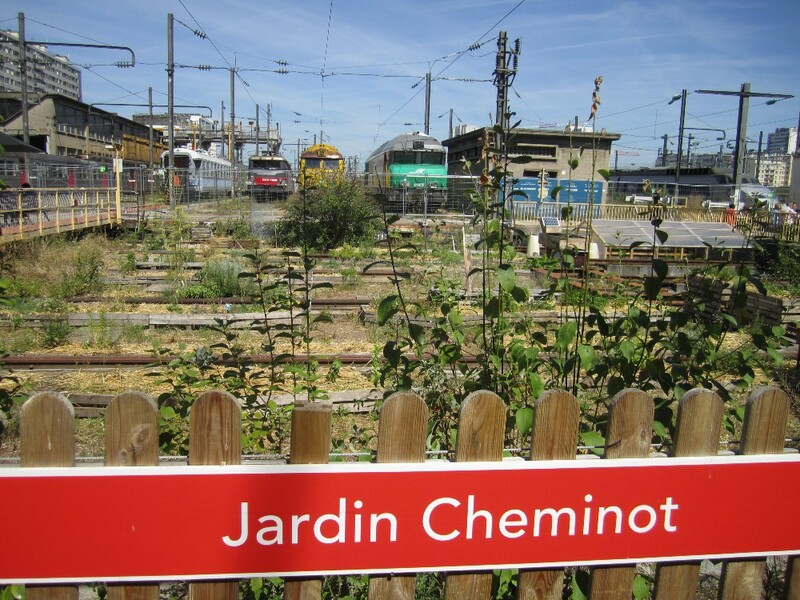 So if you’re headed to Paris and are looking for a unique way to spend some time (or if you’re already here and looking for something new to do), head over and be transported to somewhere those trains could never take you, a true meeting of cultures (and, especially wonderful in these conflict-riddled times, a peaceful one). A staycation event. So fun!! I hope you can go back. I love to see places like this develop in the world instead of brutality. 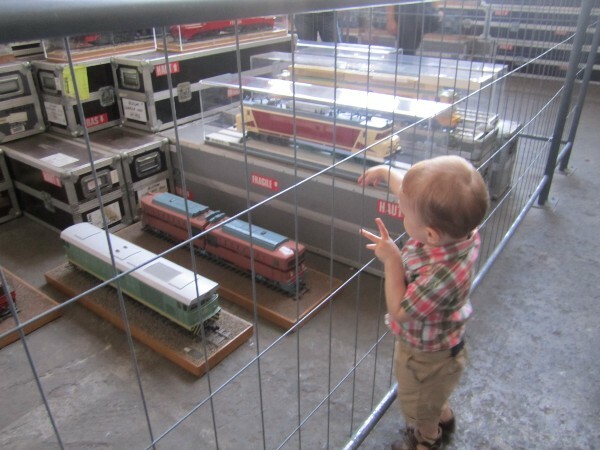 I wish those little boys in Syria could have such a peaceful place to play and marvel at trains. They are so sad in their war torn country. Julien is one lucky little boy and you are seeing that having a kid shows you a whole other part of the world that you might have missed otherwise. Keeps you young. Thanks for sharing. 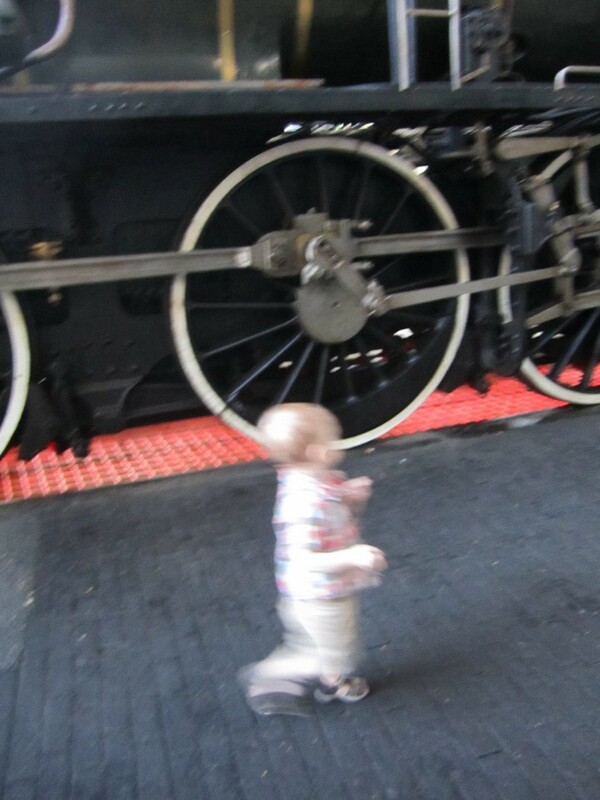 Judah loves trains,, too, but for some reason Boy is waiting to take him to train places. Not for me to question ... I hope he doesn't wait till the kid is over it. I thought the artisan trend was us imitating France! Family friendly usually threatens my equilibrium but the night time scene sounds fun, it's cool that they managed to make one space be both. Seeing things thru the eyes of a child, is the best!